Territorial peace in Colombia: A transformative concept? Can peace ever be attained without addressing the structural inequalities inherent in liberal market democracy? 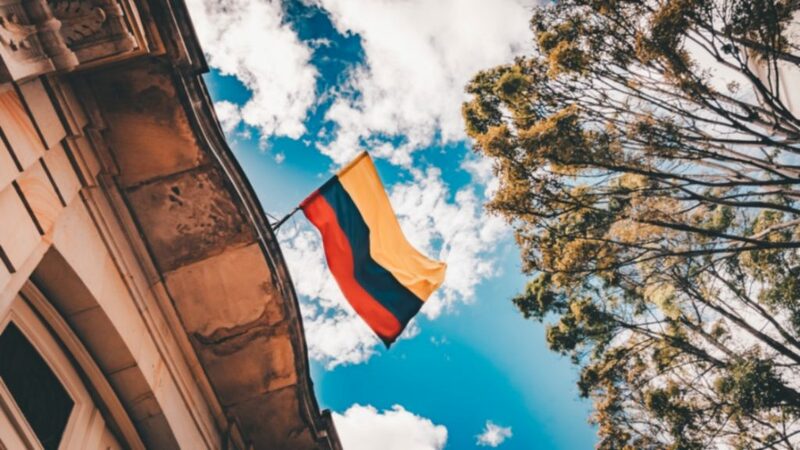 Colombia’s peace process, including the negotiations carried out by the Colombian government under President Santos and the FARC guerrilla movement (2010-2016), constitutes a promising platform to ensure sustainable peace. In particular, the notion of ‘territorial peace’ introduced into the process by former High Commissioner for Peace Sergio Jaramillo has drawn international attention, playing a key role in the process’s innovative agenda for peacebuilding beyond the limitations of basic disarmament, demobilisation and reintegration (DDR). Central to the notion of territorial peace is the idea of peace as development: the need to address ‘the historical exclusion of broad swathes of society – especially of community actors – from definitions of regional development’. Certainly, territorial peace represents a new way of thinking about the role of territory in both conflict and peace processes, acknowledging the significance of land inequality and control of population and terrain as key conflict drivers and mechanisms; and seeking to address them through initiatives such as the flagship Territorially Focused Development Programme (PDET). However, territory has also proved a slippery, ‘polysemic’ concept in the definition and implementation of peace, leaving it open to different interpretations. Moreover, concerns have been raised about its potential and implementation. In the wake of dramatic political shifts in the country, and the new right-wing government’s attempts to undermine redistributive aspects of peace process (particularly territorial peace) in support of a more neoliberal agenda, it is timely to critically interrogate the notion against its transformative potential. To do this, we return to well-rehearsed yet insightful critiques of ‘liberal peace’ questioning whether peace can ever be attained without addressing the structural causes of conflict, relating to the inherent inequalities of Western market democracy and capitalism. The ambiguous nature of territorial peace is both its strength and its weakness. On the one hand, a territorial focus supports understanding and addressing long-standing drivers of conflict in a country characterised by starkly uneven geographical development and deep regional disparities, as claimed by local communities and civil society actors. On the other hand, territory has also been invoked in state interventions as a more limited mechanism to strengthen the implementation and delivery of the peacebuilding programme at local and subnational scales. Moreover, the notion of territorial development in rural Colombia is laden with historical baggage, as the production of territory has been an integral part of the modern liberal state, seen in its facilitation of decentralisation and infrastructural development, but also paramilitary dominance. In fact, divergent interpretations of territorial peace reflect the central conceptual struggle of the Colombian conflict – between those who see it as an internal armed conflict, the result of historic injustice with structural origins, and those who deny its existence, seeing the economic and political system as unproblematic, but under attack from terrorist forces. In our current research, we explore the evolution of the concept of territorial peace from the perspective of the three key actors in the peace process – the state, the FARC and civil society – in order to take a critical perspective on its potential and implementation. Territorial peace has been seen as the state’s innovative and participatory response to the peace agenda in Colombia, due to its departure from the DDR model and recognition of the territorial nature of conflict(s). However, it is also in itself a vision of peace, characterised in terms of inclusiveness, territorial integration, political participation and reparation. instilling a new vision of peace based on political legitimacy and popular support. Understanding the FARC’s perspective on territorial peace implies going beyond reversing the effects of the conflict to the need to resolve its structural causes. As FARC leader Ivan Marquez argued, land is the unmistakable link between the FARC’s origins (a peasant response to elite appropriation of land and state terrorism) and their present struggle against the criminality perpetrated under violent and market fundamentalist logics. However, this discussion presented a critical sticking point for the FARC, due to Santos’ uncompromising refusal to discuss the prevailing neoliberal economic model, leading to certain key issues being excluded from the 2012 General Agreement. From this perspective, territorial peace could be seen not only as the government’s strategy for peace and development but also a way of addressing and at the same time side-lining demands for structural reform posed by the FARC and also, to an extent, civil society organisations. In fact, official discourse recognised that the end of the conflict opens an ‘enormous window of opportunity for a structural change, […] the possibility of launching a proper transition during which a few, but very important structural transformations could be undertaken’. This framing nevertheless fell short of questioning to what extent such urgent structural changes were constrained by the economic model the government systematically refused to discussed. During the peace process, Jean Paul Lederach pointed out that the proliferation of historic peace initiatives in Colombia was indicative of a deeply fragmented and divided society with serious difficulties in reaching common narratives and strategies of reconciliation. The issues preventing the construction of such a common horizon go back to the socio-political and structural conditions of Colombia’s origins as a nation. The existence of large swathes of rural areas which are subject to (real or perceived) abandonment by the state, alongside regional elites’ reluctance to accept the power of a central authority, is a colonial inheritance. It has meant that political centralisation in Colombia has been based on a series of alliances between a political and geographical centre and regional powers, rather than a consolidation of a central state. In the light of this historic inability to build state capacity, territorial peace presents an opportunity not only for top-down intervention to transform rural areas, but also building state institutions in the periphery. Thus, according to CINEP, a key civil society organisation in the peace process, the construction of territorial peace should involve, firstly, the implementation of interconnected and gradual solutions; and secondly, intervention at the territorial scale, focusing on regional resolution of recurring practical problems in the post-conflict context. Despite its emancipatory potential, territorial peace speaks to the essential contradiction at the heart of liberal peace; that is, whether peace can ever be attained without addressing the structural causes of conflict relating to inequalities inherent in liberal market democracy. The dialectic between ‘enabling conditions’ and ‘structural causes’ points to the contradictions of liberal order-making – that is, the divergence between the type of peace that could be envisaged and the social order that hegemonic voices want to achieve once conflict has been abolished. This instrumental view, which reduces peace to its problem-solving character, is particularly problematic ‘in the areas of marketisation and development, which are driven by neoliberalism and, therefore, leave labour markets and civil society more generally at the mercy of elite corruption, grey markets, and of course, poverty’ —a description that resonates in the context of Colombia, Latin America’s second most unequal country after Brazil in 2017. Current political shifts, reflecting ongoing power struggles between right and left parties across Latin America, appear to further entrench such tendencies. The new administration’s promise to transform the economic model, embracing corporate interests and agribusiness while cutting taxes and supporting extractive industries, suggest that such critiques are more relevant than ever.